Last night my housemates and I threw a little house party, (didn't anticipate being ill! ), so I wanted to make an effort with what I wore, but not too much effort cos I was actually just sitting in my own living room! 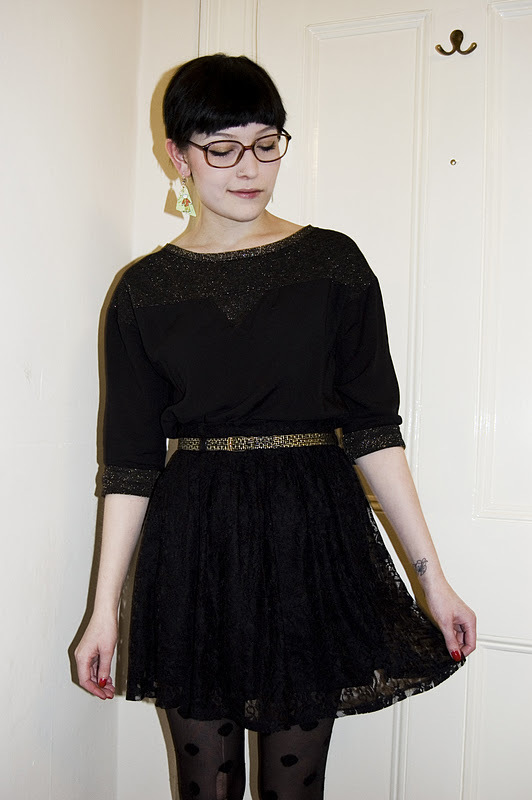 I settled on a casual three quarter length sleeve jumper from Bershka tucked into my black lace skirt from Sugarhill Boutique. Because there was gold on the jumper I also wore my 80's inspired skinny waist belt which I picked up at work the other week - I love how it breaks up the black on black combination. I love the jumper, just looking on Bershka now, I hope they still have it! wow, great choice!!! i love ur whole outfit!!! it even looks like a dress! 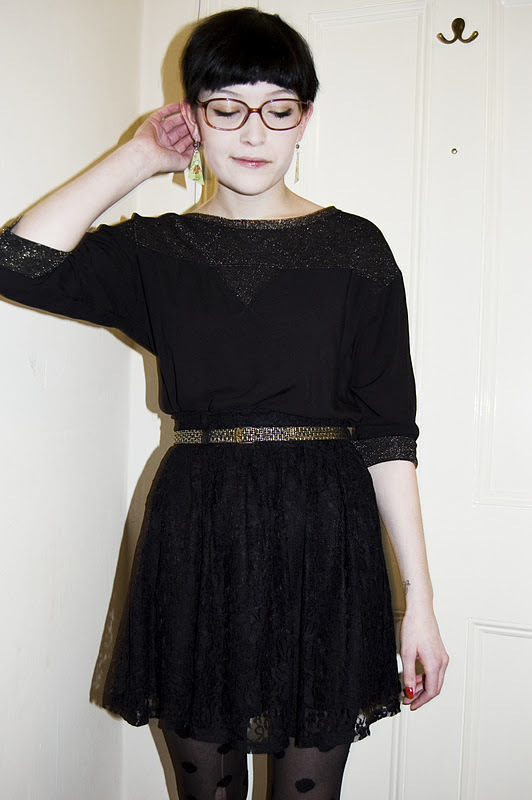 You have awesome blog, I love this outfit♥! Yeah, I will follow you:>.